Carlon Court and adjacent alley, Donnelly Street and adjacent alley, Claire Street, Kentucky Street, Tennessee Street, Elston Street, Manhattan Street, Buffalo Street, Spring Street, Cedar Street, Lafayette Street, York Street, Oak Street, Maple Street and Phillips Avenue. MICHIGAN CITY - Property owners with parcels south of current South Shore tracks on 10th and 11th streets await an uncertain future until plans for realigning the commuter train are adopted. The Northern Indiana Commuter Transportation District operates the South Shore and announced last week it intends to significantly re-configure more than two miles of track running through Michigan City. NICTD's preliminary downtown rerouting concept, developed by TranSystems of Chicago, shows the tracks heading south of 10th Street at Sheridan Avenue and proceeding through town to a point just east of Michigan Boulevard, where the regular route resumes. John Parsons, NICTD spokesperson, said properties north of 11th Street will not be affected. He said the specific houses and properties that would be impacted by the change have not yet been identified. He said the project, estimated at $65 million, has been developed at a "gross level of detail" and changes could be made as the engineering process moves forward. A map labeled "Preliminary Downtown Reroute Concept" shows a South Shore station and 775-space parking area between Franklin and Wabash streets and from Warren Street north to 11th Street. The map includes station information that lists the current 11th Street parking lot at 42 spaces and the Carroll Avenue station at 155 spaces. Those stations would be replaced with the new downtown station. The new route is designed to eliminate the curve between 10th and 11th streets near the Amtrak intersection, and also remove the curve at Cedar and Lafayette streets. As now indicated on the map, the tracks run parallel but one row of houses south of the existing 11th street tracks between Kentucky Street and Michigan Boulevard. At Sheridan Avenue, looking east, the proposed route angles to the right, eventually running well behind the houses on the south side of 10th Street and linking directly with the portion of track that would be just south of 11th Street. Chicago Street would be rerouted, but it would retain a crossing of the South Shore tracks. Depending on funding and station design, Parsons said a parking ramp could be constructed, allowing for private developers to create an activity center in the areas surrounding the station. An environmental impact statement will be required before property can be purchased, Parsons said. "An environmental impact statement and public hearing are required as part of the process," he said. "The specifics will follow as part of the on-going process to qualify for federal funding." NICTD has yet to obtain funding for the detailed engineering plan that comes next, Parsons said. Michigan City Mayor Chuck Oberlie has reviewed the NICTD preliminary downtown route and will present the plan to the City Council for its approval. Parsons expects some issues to be raised by the council at that point. "We certainly want to develop a plan in concert with Michigan City that meets their needs," Parsons said. The commuter line's board has decided to improve the existing route through Michigan City. A decision is welcome news. This will have a big impact on the city. For years officials have pondered how best to address a major bottleneck along the South Shore commuter route - the tracks that run along 10th and 11th streets through Michigan City. Alternatives were proposed, including using the Amtrak right of way across the north end of the city, and using the CSX corridor that crosses the city near Ames Field. In the end, the Northern Indiana Commuter Transportation District has settled on staying in the 10th and 11th Street corridor, but separating the tracks and the auto traffic. It is good that a decision finally has been made; now if the City Council approves and the $65 million in funding can be obtained, a major element in the redevelopment of this older part of the city can finalized. It's an opportunity to create a dramatically improved design for the areas affected. It probably will take several years, but commuters will finally have an improved train station. The NICTD board decision means the end is in sight for Michigan City to be the last major location on the route without a modern depot. This train station is proposed to be at Washington and 11th streets. Details of the plan aren't finalized, but the South Shore changes are going to have a huge impact on residents and the map of Michigan City. The train station will have parking for some 800 cars, meaning many parcels of property will have to be obtained and cleared. Seventeen of 34 street crossings will be closed to enable the South Shore to pick up greater speed as it runs through the city. Washington Street and other streets will become cul-de-sacs, with no through traffic. Properties will have to be acquired on the south side of 10th and 11th streets, meaning relocation for residents. South Shore trains have traveled this route through the heart of the city for more than 100 years,. This plan sets a course for the city for many decades to come. City officials need to move quickly to make sure the public is apprised of all the details of how this will impact their lives. MICHIGAN CITY - A $65 million project that would substantially change South Shore passenger service to Michigan City will be presented to Mayor Chuck Oberlie and the City Council for review and approval. The Northern Indiana Commuter Transportation District board approved a memorandum of understanding, to be entered into with Michigan City, to improve safety and efficiency on a two-mile stretch of the railroad that runs through the city. The NICTD decision last Friday moves forward a project that has been discussed for some 10 years, according to Barbara Huston, NICTD board secretary. Huston, La Porte County Commission president, and Mark Yagelski, La Porte County councilman, represent the county on the board. Oberlie sees the NICTD plan as a positive move for North End redevelopment and he's ready to get it done. He said some federal grants for the project will be available in September. Gerald Hanas, NICTD general manager, said more than one federal grant will be needed to fund the effort, which is expected to take seven to eight years to complete. Safety was a major factor in the NICTD planning process. New federal regulations require railroads to enhance their safety systems by 2015. The NICTD plan calls for closing the 11th Street and Carroll Avenue stations and creating a new station with an elevated platform at 11th and Washington streets. The number of street crossings would be reduced from 34 to 17. An 800-vehicle parking lot would serve riders from throughout La Porte County and adjacent areas. Increases in South Shore ridership have created parking problems at the 11th Street and Carroll Avenue stations. If approved by Michigan City and federal officials, NICTD will spend approximately $15.6 million of the total funding to acquire property along the south side of 10th and 11th streets, creating a fenced off east-west corridor that separates the South Shore from cars. "Property acquisition will be the big thing," Huston said. The Michigan City stretch of the South Shore line is the most expensive to maintain and requires "extremely slow speeds," Hanas said. He expects the improvements to shave some six minutes off travel times. The mayor said the embedded tracks have created additional expenses for the city as well. Streets normally have a 15-to 20-year life span, he said, but 11th Street needs work after eight to 10 years. The South Shore has operated for 100 years, but the long-standing placement of the tracks is no longer the best option. "People outside the city are shocked when they see the train coming down the middle of the street," Oberlie said. Earlier information indicated NICTD was considering moving the South Shore line either south, next to Ames Field, or north on the Amtrak route. In a six-month, privately funded study, consultants in the fields of economic development and urban planning looked at the potential for all three routes to contribute to what they call "transportation-oriented development," meaning areas where people live, work, shop and play within walking distance of a transportation station. They indicated the 11th Street corridor has significant potential, but is farther from the lake and at the southern end of the downtown area. However, the NICTD officials who attended the public meetings convened by the consultants consistently indicated they preferred to redevelop the 11th Street corridor. Rich Murphy, 1st Ward city councilman, believes the South Shore study along with several North End redevelopment plans have allowed residents to understand the opportunities. "NICTD'S commitment to this project is a huge step toward our vision of a vibrant, bustling downtown Michigan City," Murphy said. "We've said all along that to do something great, there would need to be a spirit of cooperation between NICTD and the city." Hanas said the La Porte County representatives on the NICTD board felt the studies needed to end. "They felt like the path of studying route alternatives was continuing ad infinitum and needed to be brought to a logical conclusion," Hanas said. He said NICTD has worked with an engineering firm for the past few months to develop preliminary drawings. Initial plans call for one new track to be installed, with room for a second track in the future. MICHIGAN CITY - Al Henckel has owned and operated Al's Shoe Repair Service, 1115 Franklin St., for 54 years, outlasting his competition. The 78-year-old isn't concerned about the century old building being knocked down and made into a parking lot for Michigan City's South Shore station because he doesn't plan to be in business in 2015. That's the federally mandated deadline for removing the South Shore commuter train tracks from the middle of 11th Street. Under a proposed plan to revamp the South Shore's route through Michigan City, a 775-vehicle parking lot would knock out a mix of businesses, privately-owned homes, rental housing and a service organization. The Northern Indiana Commuter Transportation District released a map labeled "Preliminary Downtown Reroute Concept" to The News-Dispatch on Monday. It designates a parking area between Wabash Street on the west and Franklin Street on the east, and from Warren Street on the south to just below 11th Street on the north. Henckel doesn't like the plan, but said, "I don't think it will get off the ground." "There are going to be a lot who don't want to move," Henckel said. "I really don't think it's going to help anything. They say it will bring a lot of business, but that remains to be seen." The area slated for removal has a number of rundown and abandoned properties surrounded by well-maintained residences. Two homeowners in the affected area are taking a wait-and-see attitude until they find out more specifics. David Hullinger, 1208 Washington St., was mowing the lawn of his well-tended yard Tuesday. Next door is an unoccupied, boarded-up building. Hullinger said he doesn't really know what the South Shore plans to do, but he's willing to sell the house he's lived in since 1992. "We like our house and all that, but the city isn't doing anything about the boarded-up houses," Hullinger said. Nacho Serrano, 221 Greene St., said he's not happy about the South Shore parking-lot plans, but doesn't mind selling his house "for the right price." "I'm not going to talk until I know more," he said. At The Salvation Army at Greene and Franklin streets, Maj. Brian Burkett and DeNita Ton, community services director, seemed stunned to see the map showing The Salvation Army within the parking-lot area. "I'm shocked," Ton said. "I had no idea we were in jeopardy." The Salvation Army invested $1.2 million in its facility some six years ago and wants to remain within the city's highest need neighborhood. Ton notes about 750 families are fed from The Salvation Army's food pantry each month. "There are a lot less fortunate folks all around us," Ton said of the service organization's location. Ton is nostalgic about the old 11th Street train station and wanted to see it reopened, while Burkett favors change that means progress for the city. "Certainly, anything that can be done to improve the economic future of the city is a positive," he said. "Anything that can improve our clients' ability to get transportation to Chicago or South Bend is a positive thing." Bob Weber, who operates Weber Group Realty out of his home, 1316 Wabash St., at the corner of William Street, is further south from the parking area, but close enough to be impacted by added noise and traffic. He sees the potential economic benefits that would come with an updated South Shore operation. "If Michigan City is going to move forward, transportation is one of the issues, along with wages and the workforce," Weber said. "The South Shore expansion would give an opportunity for people to live here and get to places that have jobs." As a Realtor, he said, updated South Shore service would have a potential benefit for real-estate sales. "A house in Chicago one mile from the lake is $500,000 to $2 million," Weber said. "You can live here a mile from the lake for $90,000 to $100,000. Many folks showed up last night at the Planning Commission meeting with questions about this project. Unfortunately unless there are re-zoning proposals made, that body won't see anything to do with this. MICHIGAN CITY - The Northern Indiana Commuter Transportation District's recently released plan to reroute the South Shore railroad through Michigan City was developed over the last few years in close collaboration with Michigan City Mayor Chuck Oberlie. That's according to John Parsons, marketing manager for NICTD, who acknowledged Monday the plan is creating some controversy among Michigan City residents because of unanswered questions. "We are anxious to begin engineering this project to answer these very questions," Parsons said. NICTD intended to meet with the city council at its June 16 meeting. Oberlie said that meeting was postponed until after the team of consultants issued its final economic impact report on three possible transit routes. First Ward councilman Rich Murphy believes the economic impact assessment will help Michigan City residents make an informed decision about the NICTD proposal. "It's extremely relevant to this issue," Murphy said. "We have a report pending that will cite in more detail the economic impact of each location." Both Oberlie and Murphy said the public will have plenty of opportunities to weigh in on the South Shore plans. "I think the message is the public will be very much involved in this process," Murphy said. "Michigan City needs to look at this and decide how they're going to respond." Oberlie said alternatives will be evaluated as the plans move forward. As an example, he mentioned train station parking could end up as a two-level parking ramp rather than surface parking, cutting in half the amount of land needed. "There are many such issues that will be addressed through the engineering phase," Oberlie said. Parsons said the NICTD plan aims to improve safety, passenger access and train operations. "While it may be quaint, a modern passenger train or fully-loaded freight train has no business operating down the middle of 10th and 11th Street, mingling with parallel vehicle traffic at 34 grade crossings," Parsons said. New federal regulations require railroads to adopt "positive train control" by 2015, referring to automated technology used to preventing train-to-train collisions, derailments and train movements through a switch left in the wrong position. Parsons said tracks embedded in the street can't be controlled with the advanced signal systems. The rerouting will improve the potential for future economic development in downtown Michigan City, Parsons said. An up-to-date, accessible station will replace the two existing stations at 11th Street and Carroll Avenue. Parsons said the realignment of the South Shore is a long process that will take city, state and federal cooperation to complete. "Many questions will remain unanswered until we can undertake the appropriate engineering and environmental studies," Parsons said. Council calls for workshop, hearings on rail relocation. The South Shore's parent agency should have shared the relocation plan with the public early on. More direct communication should have been provided by the Northern Indiana Commuter Transportation District to the dozens of homeowners, renters and businesses that would be displaced under preliminary plans to reroute the South Shore tracks. The agency that runs the commuter service has penciled a lot of people out of their homes without giving them the courtesy of a visit, call or letter advising them that their property might be acquired and cleared. The NICTD board recently approved seeking an agreement with the City of Michigan City to proceed with this major project, which has an estimated pricetag of $65 million. It was done at a public meeting, but the people affected should have been given a heads up. This week some members of the Michigan City Common Council called for a workshop with NICTD and public hearings. NICTD says the plan has been in the works for 10 years, but certainly in that period it could have found time to give people a chance to study the details and find out what the future holds. As Third Ward Councilman Ron Meer said in a news story today, "There's been little or no communication with this body of these recent issues. When and where are the public hearings? What's the land acquisition process? There are a lot of questions we know nothing about." The proposed relocation of South Shore tracks would wipe out a row of homes along the south side of 11th Street, plus more homes west of that to the city limits. It would cut off 17 of 34 street crossings of the South Shore, reducing north-south traffic routes. We are hopeful the public will have ample opportunity to review the plans and have their concerns heard before this is finalized, but the way the process began didn't adequately inform the people of Michigan City. MICHIGAN CITY - Some longtime Michigan City residents are railing against the new route proposed for the South Shore commuter line. Instead, they're touting a North End route with an intermodal transportation center. City natives John Vail, 87, and Fred Miller, 78, are making their case on the Web site www.michigancitysnewnorthend.com and with a video presentation they're taking to service clubs. Their plan would create an elevated north-end route along the Amtrak line, with the South Shore rails running parallel over a 16-foot-high bridge across Franklin Street to an elevated intermodal station at the north end of Wabash Street near the former depot now occupied by Swingbelly's Restaurant. The tracks would run on a 45-foot-high bridge replacing the swing bridge over Trail Creek. Another 16-foot-high overpass would be built over U.S. 12 to take the South Shore down toward the Carroll Avenue station, which would be phased out. More details are shown on a map posted on the Web site. "It's a given that this (North End) is where people want to be," Vail said, "with access to the beach, the Lighthouse mall and the casino." Miller agreed, saying, "It would drop visitors off and pick them up where they want to be." Miller remembers when hundreds of out-of-town visitors came to Michigan City on the South Shore on the weekend. 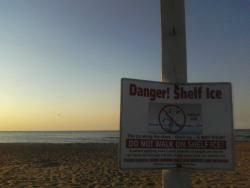 "They walked to the beach with their ice chest and beach paraphernalia," he said. "That worked in the 1930s, but people are used to cars now." • Reduced number of grade crossings within city limits. • Proximity to attractions such as the outlet mall, Blue Chip, museums, marinas and Washington Park beach and zoo. • Cleared, shovel-ready land is immediately available for commercial and residential development. • An intermodal station would interface with city and inter-city buses, Amtrak, proposed water transportation, U.S. 12 and a revitalized Michigan Boulevard. They said the plan would be advantageous to the railroads as well as to transportation-oriented development of new housing and retail shops. The critical part is replacing the swing bridge on Trail Creek, Vail said, to improve rail speed as well as remove an obstacle for boaters. "A bridge at the water level is no good," he said. "The Amtrak would love to get rid of that." Both men look forward to getting the final report from a team of economic development and urban planning consultants that evaluated the economic impacts of three possible South Shore routes. Based on an earlier report, the northern route was most likely to have the greatest economic impact for Michigan City, but also had the most challenges because of the swing bridge. The 11th Street route has significant potential, they said, but is farther from the lake and at the southern end of downtown. Vail and Miller cite 10 reasons NICTD shouldn't use the 11th Street route. A considerable amount of property would have to be purchased, they noted, and nearby property values would go down. Some north-south routes through the city would be closed off, dividing the city, and the 15 grade crossings that would remain would pose safety issues. The 11th Street station doesn't have the advantage of linking to main highways, they said. Vail said their proposal was sent to John Parsons, marketing manager for NICTD, but it didn't seem to make a difference. "They don't like people upsetting their plans," Vail said. Vail and Miller believe their proposal can be funded, and they suggest specific funding sources on the Web site. One possibility, they said, was Obama's proposal to spend $9 billion on a high-speed rail system across the nation. Both men are disappointed by the lack of public comment about the NICTD plan for rerouting the South Shore, and said people seem to be apathetic. And they'd like city officials be more proactive. "We should be calling the shots a little bit about what happens in Michigan City," Vail said. I believe I had read in earlier threads that the North End existing tracks do not belong to NICTD which would require them to lease from Amtrak (?) and alter schedules. Also by locating the tracks that far north you are abandoning the prospects of attracting more businesses to the old town area between 11th and 4th. Not everyone who rides the train to and from MC wants to go just to the beach. I believe the casino runs shuttles from the train stations and hotels now so that is not an issue. I know they run a shuttle from the train station as I have friends who use it often. Maybe MC or local entrepreneurs should look into running shuttles to the beach, park, mall, museums etc. There are several locally owned businesses in the old town close to 11th now that rely on the train passengers. I hate to think we are so willing to abandon them. Anyway that is my opinion at this moment. Do You Have Special Medical Needs? Let The Fire Dept. Know! Are You In Compliance With New City Trash Regulations? Mayor Chuck Oberlie and 1st Ward Councilman Richard Murphy today announced a community workshop on the SouthShore Line upgrade and transit oriented development opportunity for Michigan City. Mr. Stu Sirota of TND Planning Group Consultant that recently completed the study on the economic benefits of transit oriented development associated with the SouthShore Line realignment options will serve as the facilitator. The workshop will provide the first meaningful opportunity for the public dialogue about the SouthShore upgrades and associated transit oriented development opportunities. The workshop will also provide the best available information about proposed changes to the SouthShore Line and explore specific opportunities around a new proposed station. And, perhaps most importantly, the workshop will provide a much needed opportunity for residents to discuss their concerns and hopes. The workshop will be held on Wednesday, July 29, 2009, at 6:30 p.m. in the Council Chambers at the Michigan City City Hall. MICHIGAN CITY - Mayor Chuck Oberlie and 1st Ward Councilman Richard Murphy announced Thursday a community workshop on the proposed South Shore Line upgrade. The workshop will be held at 6:30 p.m. Wednesday, July 29, in the Council Chambers at City Hall. Stu Sirota of TND Planning Group Consultants, which recently completed the study on the economic benefits of transit-oriented development associated with the South Shore Line realignment options, will serve as the facilitator. The workshop will provide an opportunity for public dialogue about the South Shore upgrades and associated transit oriented development opportunities, Oberlie and Murphy said in a news release. The workshop also will provide the best available information about proposed changes to the South Shore Line and explore specific opportunities around a new proposed station. John Parsons will represent the Northern Indiana Commuter Transportation District at the workshop. "It will give us an opportunity to meet with the community and share our thoughts on why we selected the 10th/11th Street corridor, what is prompting our decision to realign the railroad and what we expect to achieve," Parsons said. "Equally important, the workshop will begin to lay the foundation for a cooperative planning process that will enhance development opportunities within the corridor." The workshop will provide an opportunity for residents to discuss their concerns and hopes. MICHIGAN CITY - John and Karen Vander Wagen found their home in Michigan City by accident. According to John, they missed the turn for Lighthouse Place Premium Outlets and headed toward Washington Park. They followed Lake Shore Drive and were amazed to find so many attractive lakeside homes. "A week later, we bought it (the house)," John Vander Wagen said. After years of spending weekends here, the couple now lives here full-time. Vander Wagen has joined forces with others who strongly believe that people need to see the city's location on Lake Michigan in order to want to visit or live here. On Sunday, Vander Wagen joined Leigh Coburn, Lou Hapke and Fred Miller in a discussion about the advantages of relocating the South Shore commuter rail north, parallel to the Amtrak route, rather than realigning its present route through town. "I think most of us have a passion for this thing because we think the 11th Street plan would be bad for Michigan City," Miller said. The "It's (Y)our Government Group" is trying to heighten public awareness of ways the NICTD proposal could impact Michigan City for decades ahead. And they are encouraging others to keep informed and make their opinions known. When the Northern Indiana Commuter Transportation District announced its realignment plan on June 9, the group was amazed to learn the NICTD plan had been in the works for 10 years. They hadn't heard anything about it during conversations with John Parsons, NICTD communications director, and Henry Lampe, chief executive of South Shore Freight. NICTD's plan would remove about 150 residences and buildings on 11th Street from the path of a new South Shore route. Vander Wagen has calculated these properties represent more than $8.6 million in assessed property values and a loss of some $149,500 in property tax revenue, since railroads are exempt from paying property taxes. NICTD's proposal calls for closing 17 crossings and acquiring four square blocks for station parking. The northern route proponents say this will cut Michigan City into two parts at 11th Street, from Sheridan Avenue on the west to Michigan Boulevard on the east. For safety, the tracks will be fenced off. Leigh Coburn, who photographed rusty fences and accumulated trash along the South Shore tracks in Gary, Ind., in June, does not want to see that happen in Michigan City. "I can't imagine the devastation that will occur if we have fences such as these running our city's entire length," Coburn said. "There will be lots of promises made concerning aesthetically pleasing fences and maintenance promises, but these pictures show the real history and results of NICTD fences." Not only do the fences look bad, Coburn said, they also split up existing neighborhoods. "How many kids on the south side of 11th Street play with kids on the north side of 11th Street?" Coburn asked. "It will cut neighborhoods in half." Lou Hapke said their designed northern train route would make use of existing tracks once used by the Nickel Plate railroad, which once extended from Michigan City to La Porte and to Indianapolis. The costliest part of their plan would be creating an elevated track along the Amtrak line, with the South Shore rails running parallel over a 16-foot-high bridge across Franklin Street to an elevated intermodal station at the north end of Wabash Street, near the former depot now occupied by Swingbelly's Restaurant. The tracks would run on a 45-foot-high bridge replacing the swing bridge over Trail Creek. "I think the important thing is to get it (swing bridge) redone to elevate it," Hapke said. Hapke said not many buildings - residential or commercial - would have to be removed to accommodate the proposed northern route. And an elevated rail would give people "a bird's eye view" of the lakeshore. "How many people go through our city and don't know we're on the lake?" Coburn asked. "We sincerely hope the mayor and city council will look very closely at what we believe is a seriously faulted proposal." The tracks would run on a 45-foot-high bridge replacing the swing bridge over Trail Creek. I suspect it will be found that building that bridge is going to make the $65 million look like pocket change. I do think that the idea of fencing the tracks is rather annoying. Heck, they run down the middle of an active street now, what's the need for fencing? Don't forget the workshop is tomorrow (Wed) at 6:30pm! This is going to be a huge topic in the near future, so get your voice heard now, before it is too late!!! Hmmm. I'll be out of town. Is this the first of many such workshops? I have a thought for the whole 11th St. vs. North End debate. I am very pro-11th St (since the south route was taken off the table), but for those who think that we are missing out on potential tourist traffic by not running the tracks north, why not build a trolley line that runs from the new station to the old depot (Swingbellies). NICTD has said the 11th St. project would provide a right of way wide enough for double-tracking, but that they would not initially want to do so. That means a second track could be laid from the new station west to the Amtrak tracks. It could run along the east side of the Amtrak tracks (without crossing them), and run north to the depot. A stop could also be added for the Lighthouse Mall. I envision this being operated during the summer months (and maybe just to the Lighthouse Mall from Thanksgiving to Christmas) by a private not for profit. While this may seem far-fetched, remember that there was a group that was organized which wanted to build a trolley from Michigan City to Mount Baldy. Norfolk Southern Railroad gifted that group all of the track that was ripped up when the Nickle Plate line over the Peanut Bridge was abandoned a decade ago. I hear that that rail is still being stored in a warehouse on the city's west side. They have not mentioned any more forums, but I imagine it will be up to the public to demand more info. NICTD is going to try to get by with giving out as little controversial info as possible. MICHIGAN CITY - More than 150 people attended a meeting Wednesday evening to discuss the relocation of South Shore tracks. While John Parsons, planning and marketing manager of the Northern Indiana Commuter Transportation District, said he and Gerald Hanas, NICTD general manager, were there to hear from the community, no one should expect to hear a lot of answers at the meeting. "This is just the beginning of the process," he said. Answers will be forthcoming. Stu Sirota, principal in the TND Planning Group of Baltimore, which has been working with Michigan City on transit issues, facilitated the meeting at which about 30 people were sitting in folding chairs in the vestibule outside City Council chambers because all 112 seats in the meeting room were filled. Another 15 people lined one wall in the meeting room. Sirota too said he was looking for questions and concerns but the project is a long way from completion. NICTD's proposal calls for closing the 11th Street and Carroll Avenue stations and building a new station at 11th and Washington streets. The plan would require acquiring property along the south side of 10th and 11th streets. Sirota said other possibilities discussed over the years include moving tracks north to the AMTRAK tracks or south to the CSX tracks near Ames Field. Those in attendance adjourned to the city's all-purpose room to discuss in smaller groups a variety of concerns ranging from historic district issues to dividing one part of the community from the rest of the city if 11th Street were to be closed. Others worried about traffic during rush hour. Julie Manner, who spoke for one group of people, talked about historic issues and expressed the hope that "you would preserve something of the old (South Shore) station." She also expressed the need for pedestrian-friendly areas near the new station and perhaps historic lighting. Lou Hapke spoke to the issue of street closings. He has concerns about how well emergency vehicles will be able to negotiate new traffic patterns. Parsons said the two miles of tracks embedded in the pavement in Michigan City's streets are NICTD's two most expensive miles of track because they are expensive to maintain. Street maintenance around the tracks is expensive for the city as well. "We would like to support the 10th and 11th streets corridor," Mayor Chuck Oberlie said. He hopes the City Council will support that plan as well. "A key element in advancing the project and securing federal funding to support further analysis is the cooperation and support of the city," Parsons said. For those who are interested, ALCO has the video of the workshop up on their website, thanks to them! I actually just caught the end of Part II of the workshop on ALCO 97, and I saw a few familiar faces on there. Dave, Greg, you guys have anything impressions you want to share from the meeting? I'd be curious to hear from the people who were actually there first. As for the format of the workshop, all I can say is that I don't operate optimally in that kind of format. I grouped with the people concerned about Historic Preservation, as that's sort of my thing at the moment. One point that has to be made is that this presentation was NOT presented by NICTD. The workshop was presented by Mr. Sirota on behalf of the city, and the NITCD officials weren't there to answer questions, but rather to listen to what people were saying. More on this anon*. As for NICTD's proposal, essentially it involves moving the tracks about 50 feet south for most of the length of 11th street. While I can see from the map (which does not appear to be available online, at least I couldn't find it), it would involve demolition of what could easily be the maximum possible number of homes and other buildings, including a church, which strikes me as being unnecessary. If NICTD's concern is getting the tracks out of the asphalt, one would think that by essentially giving them 11th street so they could remove the asphalt, that would solve the problem. However, as far as I can tell, if they are going to tear out a new right of way fifty feet south of 11th, they no longer need 11th street, so why close it? The issues involved in closing some grade crossings would remain, but if they aren't going to run in 11th, what do they need it for? *After looking at the "preliminary proposal" for a while, and unfortunately after the session was over, I had the thought that the "preliminary proposal" may very well be something somewhat different than what I initially thought it was. This may very well be due to the simple fact that I have grown over the years to be suspicious, but bear with me for my thought process a bit. When entering into a negotiation (which is what this whole matter really is), different entities have different approaches. If I want A, B, and C, I normally say "I want A, B, and C," make my case, and if the other party doesn't agree, I endeavor to make them see the sweet right of reason (as I always take reasonable positions ). A different approach taken by some folks who desire A, B, and C, is to say, "I want A, B, C, D, E, F, G, H, I, J, K L, M, and N," figuring they can back off on D through N and still get what they want. One example of this most people can identify with is buying a car -- the dealer's first price isn't generally his bottom line, it's just the point where he starts from. My perception is that NICTD's "preliminary proposal" is their A though N, their beginning bargaining position. Supposedly their main concern isn't straightening out curves, but meeting federal guidelines for what's referred to as "positive track control," a safety system which entails sending electronic signals though the rails to determine where the trains are exactly at all times, which I have been told is very difficult if not impossible to do with rails buried in asphalt in our climate (snow, salt, rain, etc., causing problems with the signaling.) Essentially giving them 11th street so they could tear up the asphalt encasing the rails presumably would cure the "positive track control" issue, but they may be approaching this negotiation with additional items on their wish list so they can give up the additional items and appear to be bargaining in good faith. I might be overly suspicious of the motives of NICTD, but these are the same folks who said a couple of years back that the move to Ame's Field was a "done deal," so I don't think that viewing their initial "proposal" skeptically is out of line. If anyone wants a quick once-over of what NICTD management is thinking, feel free to read the interview "stickied" to the first page of this web site.